Only three times within the past 500 years have four total lunar eclipses occurred back-to-back on major Jewish holidays. 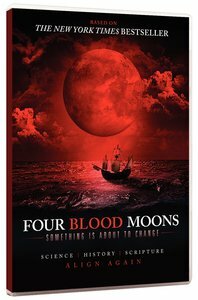 Based on the New York Times best-selling book by John Hagee, this compelling docudrama explores incredible connections between four blood moon eclipses and pivotal world events. Combining Scripture, science, and history, noted scientists and religious scholars Dinesh D'Souza, David Barton, and others explore similar phenomena, our current blood-moon cycle, and its possible meaning for Israel and the world. About "Scr Four Blood Moons Screening Licence (Standard)"